Cancer of the gallbladder (RJP) is considered a rare pathology detected on average two people per hundred thousand population, and ranks sixth in prevalence among all tumors of the digestive system. The difficulties of diagnosis and the lack of striking symptoms in its early stages often does not allow time to diagnose the tumor, therefore, early detection of this cancer is possible only in a quarter of cases. Among the cases dominated by individuals of advanced age, usually after 70 years, and among patients at half to two times more women than men. In the development of the disease is of great importance lifestyle, diet and the presence of other diseases of the biliary tract, leading to their permanent injury (rocks, for example). In the majority of cases of cancer combined with cholelithiasis. The gallbladder is a small pear-shaped organ located under the liver and associated with it by ducts. The main task of the bladder is the accumulation of bile, which is produced by the liver and its excretion into the duodenum to participate in the breakdown of fats. The inner layer of the organ, mucosa, is experiencing constant influence of aggressive components of the bile, and if in the lumen of already formed stones, they will provoke a permanent inflammation and damage to cells lining, the answers to which will be their enhanced proliferation and tumor growth. Among all the possible tumors of the gallbladder and 90% were cancer, and so suspected any tumor growth requires careful examination of the patient and exclusion of malignancy. 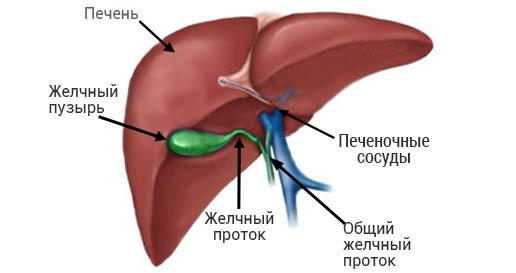 Causes of tumors of the gallbladder and ducts more «external», due to the way of life of the patient and presence of concomitant pathology. Female gender (among patients in 1.5-2 times more than women). American origin (noted that Americans suffer from this type of tumor more often than Europeans or Asians). 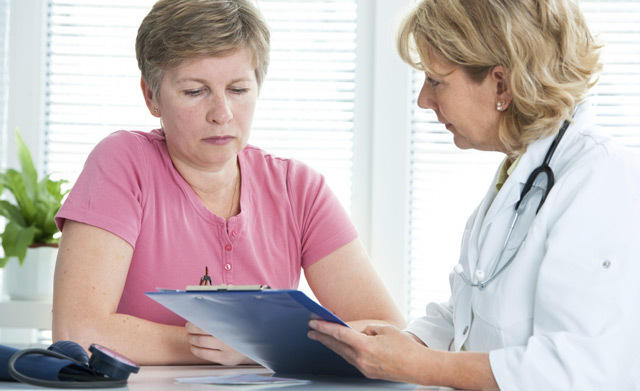 It should be noted that not all patients with these conditions develops cancer, because the same cholecystitis or cholelithiasis is found in the vast majority of older people, especially women who are overweight. However, this possibility must be considered, to prevent cancer to visit a doctor and to get rid of polyps, stones, or cholecystitis. Cancer of the gallbladder microscopic examination is usually an adenocarcinoma, that is the glandular swelling of various differentiation grade (high, moderate, low) that determines the prognosis of the disease. The higher the degree of differentiation (development) of tumor cells, slower growing tumors and better prognosis for the patient. 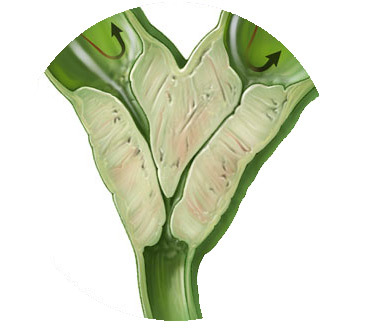 RGP prone to rapid spread to the liver, bile ducts, gastro-duodenal ligament, blood vessels, forming a dense conglomerate that compress the bile duct and causing obstructive jaundice. The germination of the bowel wall or pancreatic head is fraught with serious violations by these bodies. Biliary tract cancer is a rare disease, when adenocarcinoma initially starts growing in the bile ducts. Causes of this tumor are not only inflammatory changes (cholangitis), but also malformations and parasitic infestation, which is particularly prevalent among residents of the Far East and some Asian countries. Manifestations of cholangiocellular carcinoma is similar to cancer symptoms of the gallbladder, therefore, to distinguish these diseases on clinical grounds is very difficult. Moreover, if a considerable tumor size and the germination of its surrounding tissues to identify the source of the cancer is not always possible even after removal of the lesion and thorough histologic study. At stage 4 the tumor incurable, is characterized by the presence of distant metastases. 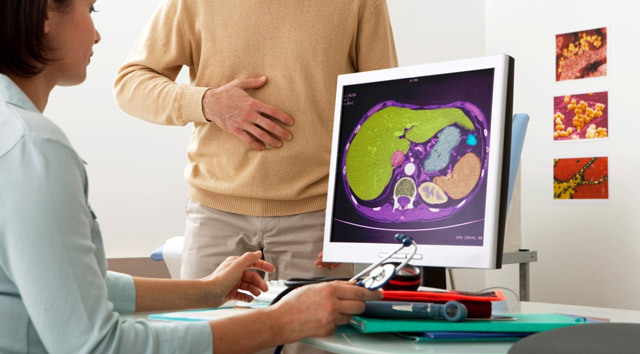 Symptoms of gallbladder cancer can disguise themselves available cholecystitis or gallstones, so the pain in the right upper quadrant or digestive problems for some time, do not cause anxiety in the patient. The initial stage of the tumor, while she is still small, can and does occur without any signs of cancer. The first symptoms of neoplasia can appear during germination it the whole bladder wall and surrounding tissue, then the pain will be constant, dull, upper abdomen and right hypochondrium. The presence of fever of unknown origin along with pain syndrome and dyspeptic symptoms are almost always speaks in favor of malignancy. dyspeptic symptoms – nausea and vomiting, bloating, diarrhea. It is worth noting that these symptoms can be inflammatory process in the gall bladder, but you should not ignore them, because only a specialist will be able to exclude the possibility of a tumor. One of the most characteristic features of cancer is palpable tumor formation in the right hypochondrium. In addition to the hilly dense node can detect these formations and in the liver, which increases in size. Jaundice suffers from almost half of the patients. This violation is associated with disruption of bile flow in the affected bile ducts, resulting in bile components penetrate into the blood stream, are deposited in the skin and mucous membranes, giving them a yellow color. As the worsening of jaundice appears itching, because the bile acids irritate the skin receptors, and the patient may appear scratches on the body. Tumor growth is usually accompanied by weight loss, so many patients lose weight with the development of other symptoms of cancer. This characteristic can seldom be ignored, especially if the patient experiences much pain. Gallbladder cancer with liver metastasis is usually accompanied by rapid progression and signs of liver failure. Pains become stronger, the liver increases in size, patients get weaker, losing weight, increasing jaundice, and abdominal possible fluid accumulation (ascites). 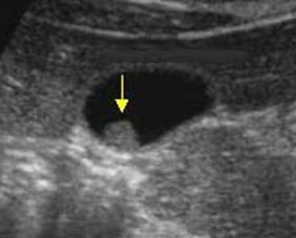 Sometimes the metastases can be felt, and in ultrasound their presence will be confirmed. Diagnostic laparoscopy with biopsy (taking a suspicious fragments for histological studies). In the blood of a patient with cancer of the gall bladder shows signs of liver dysfunction, leukocytosis, ESR acceleration. Increasing the concentration of cancer-embryonic antigen may also indicate a malignant tumor of the gallbladder. The purpose of additional research is the clarification of the dimensions, location, extent of the tumor, involvement of adjacent organs and tissues, based on what the doctor determines the stage of the disease is further treatment plan. The choice of method of treatment REP is determined by the tumor stage, its prevalence in the surrounding tissue, the age and condition of the patient. Often the disease is detected after removal of the bladder about gallstones. In this case, the tumor is usually confined to the outside of the body, as already held, the operation may be sufficient to obtain a good result. If the tumor has gone beyond the body, has grown into nearby tissues, the operation may not be feasible because of the proximity and close relations with liver, pancreas, small intestine. At impossibility of radical surgical treatment, doctors are forced to resort to palliative operations, to improve the patient’s condition and relief of the painful symptoms of cancer. The basic approach in the treatment of gallbladder cancer remains surgery, and the sooner it will be done, the best results waiting patients. In localized forms of cancer are conducting cholecystectomy (gallbladder removal), it is possible to conduct the intervention using the laparoscopic technique without large incisions. In addition to removing the bladder, the surgeon performed resection of the liver and gall duct area, excised the surrounding healthy tissue, lymph nodes, the edges of the incisions necessary for the introduction of tools to avoid dissemination of tumor cells during surgery. When neoplasia spread outside the gallbladder, the bile ducts in the implementation of radical surgery can be difficult, since the precise boundaries of tumors to determine is impossible, and damage to the liver or pancreas is fraught with serious complications. 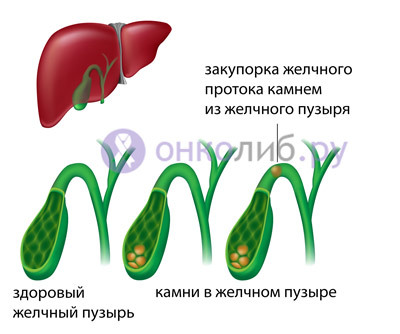 In some cases, however, it is possible to remove the affected organ, and fragments of liver and pancreas, and part of the small intestine, but the possibility of this treatment determines the nature of tumor growth and qualification of the surgeon. Patients in whom neoplastic lesions of the gallbladder is found on palpation of the body or during surgery, are considered incurable, and to remove this cancer becomes technically impossible task. Palliative treatment is aimed at decrease in pain, decompression of the bile ducts and improve the bile flow from the liver. So, is possible to install plastic tubing in the bile duct, formation of a fistula between the ducts and the jejunum or output external fistula, through which will be the outflow of bile. Such manipulations reduce the pressure in the bile ducts and reduce the appearance of jaundice characteristic of cancer of this localization. Cancer of the bile ducts may be the reason for pretty traumatic interventions when removed not only the affected duct, but the gallbladder, regional lymph nodes, liver segments, portions of the stomach and small intestine, pancreas. These operations are usually done in advanced cases of the disease and in early detection of the tumor, the surgeon is limited to the resection of the affected duct with the restoration of the outflow of bile. Radiation therapy has a wide application in cancer of the gallbladder and ducts because the tumor is not too sensitive to irradiation, but it is possible as palliative care or after surgery to prevent recurrence. The irradiation is carried out both distantly and locally, after introduction to the affected area of the catheter or special needles with radiopharmaceuticals (brachytherapy). The introduction of radiosensibilizing, increasing sensitivity of tumor tissue to irradiation can improve the efficacy of this treatment. At the advanced stage of the tumor and severe pain even partial destruction of cancer cells can improve the condition of the patient. Chemotherapy has a very limited value when RIP because of low tumor sensitivity to drugs. It can be in the form of systemic chemotherapy with intravenous cytostatic and topically, when the drug is administered in the area of tumor growth. The most commonly used fluorouracil, cisplatin, which is prescribed after surgery to prevent recurrence and destroying cells that may remain in the tumor field. In some cases, chemotherapy is palliative value to reduce the tumor mass for inoperable cancer. The ineffectiveness or inability of the listed methods of treatment the patient may be liver transplant, but the possibility of such an operation is not at all that is connected with the necessity of finding a donor organ and the complexity of carrying out the interventions requiring appropriate equipment and specialized teams of surgeons. After successful removal of the tumor the patient is under the supervision of a physician, visits him twice a year during the first two years after surgery and annually thereafter. Today, medical science does not stand still, constantly engaged in a search for more effective cancer treatments. Clinical trials of new drugs or methods, which may include patients at any stage of the disease. The patient may take new drugs in parallel with conventional treatment or without it, and about the possibility of participation in such studies everyone should know, it’s a chance to get not only valuable for the doctor of clinical information, but an effective tool in the fight against cancer. The prognosis of cancer of the gallbladder and ducts of the serious. This is due to the fact that only 25% of tumors are detected at an early stage, and the rest – when running the process and lesion of adjacent organs. Treatment is effective only if the location of the tumor within the bladder or duct, in other cases, it often is palliative. Specific measures to prevent this insidious disease does not exist, however the following simple rules can reduce the risk of cancer. For prevention should keep your weight, diet (limiting animal fat and increasing the proportion of vegetables and fruits), avoid Smoking, to provide an adequate level of physical activity. In the presence of chronic inflammation or stones in the gallbladder need to consult a doctor and undergo appropriate treatment.